Traditional and contemporary design meet to create a relaxed yet sophisticated ambiance, embracing the flavor of Puerto Vallarta and modern Mexico in an exquisite oceanfront villa. 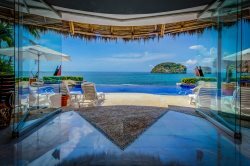 Located 2.5 miles south from downtown, this spectacular 12,000 square foot oceanfront property is nestled into the cliffs above the Pacific Ocean on the exclusive south shore of Playa Venados. 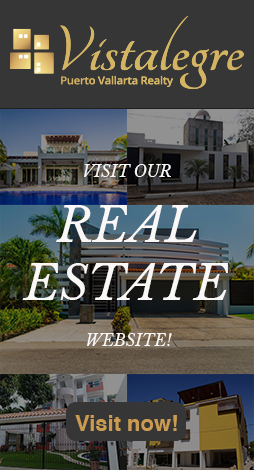 Villa Balboa is simply your best option for villa rentals and private events in Puerto Vallarta. Leave it up to Villa Balboa and we will make sure that no matter what, your guests will slow down, unwind, and enjoy themselves. On behalf of the staff, I invite you to come and indulge in the “Villa Balboa Experience”. Villa Balboa features unparalleled oceanfront and city views, a spectacular private cinema and en-suite spa experience at an extra-charge. Your vacation home comes fully staffed with a private chef, English speaking concierge, cleaning service and maintenance assistant. An infinity pool, two infinity Jacuzzis, dramatic water features, tropical gardens, elevator and a fully equipped gourmet kitchen are part of the luxurious elements that will surround you. WIFI, satellite system and unlimited calls to the US and Canada are available for your convenience. Because of its unique architectural features our villa grounds might be unsafe for small children. Villa Balboa accepts infants under 12 months, or children over 8 with adult supervision. Nanny or babysitting services are available at an extra cost upon request. We apologize in advance as we do not have children’s equipment (car seats, high chairs, etc.) available at the villa.